The CAA committee were unanimous in their enthusiasm about this event chart! 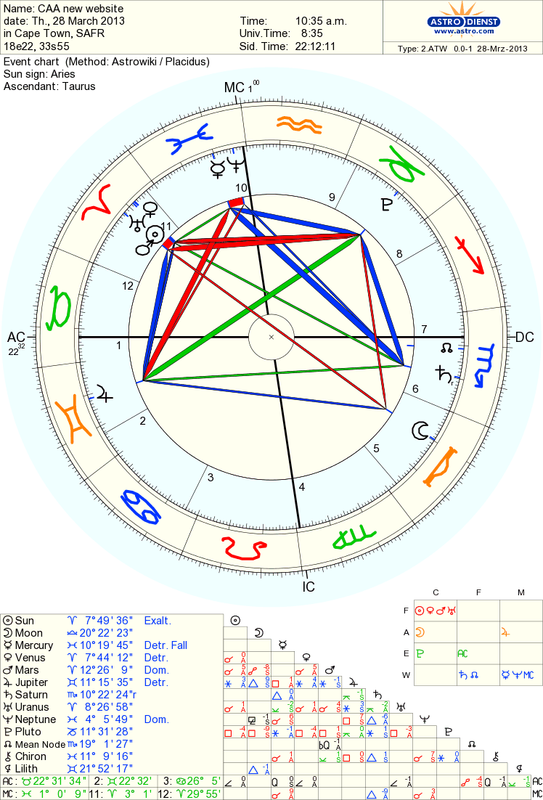 Mercury is aptly in the 10th House (public information) with Neptune. Let’s face it, astrology is unusual and mysterious information. Let’s hope the Pisces and Neptune influence on Mercury is more inspiration than misinterpretation! 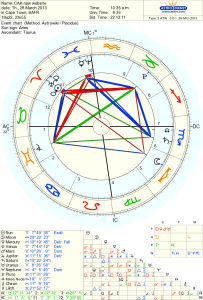 The Sun, Venus, Mars and Uranus are all in Conjunction in the 11th House. Wow! Yes, this site is engaging with our many members? There are boys (Mars), girls (Venus), dignitaries (Sun), and astrologers (Uranus) all enjoying our website! Hooray! Jupiter is in the 1st House; you can learn a lot from this noble creature!